PARIS--(BUSINESS WIRE)--World leader in Quality of Life services, Sodexo, together with Xpenditure and iAlbatros unveils Rydoo, the new platform that eliminates daily administrative tasks starting with business travel and expense management. Launched in France and worldwide today, Rydoo aims to unlock the full potential of a dynamic yet old-fashioned market, while supporting the digitization of workplaces. At work, administrative tasks with no added value are frustrating. We have all spent hours searching for the right flight, queuing at hotel lobbies to check-out and then finally have confusing expense reports to fill in. No salesperson was ever hired to become an expert in travel arrangement or collecting paper receipts. Employees and companies deserve to focus on what matters and what offers value. Rydoo brings this technology to drive efficiency and enable better ways to work. Now Rydoo reinvents and simplifies travel and expense management to just a few clicks and photos, whilst saving time and optimizing costs. Rydoo is the first platform to cover the full scope of any trip or any expense to contribute to a more fulfilling work environment. With an average adoption rate of 93% within the first month, Rydoo proves just how user-friendly it is for employees and efficient it is for companies. Rydoo is also a SaaS solution that takes just a few days to implement, releasing new features on a weekly basis. Rydoo has a competitive business model, starting at €6 per month/active user. Rydoo travel helps employees find the right flight, rail ticket or car rental, and book the hotel that suits their needs from among 800 000 accommodation choices, and offers a dashing user experience in less time. 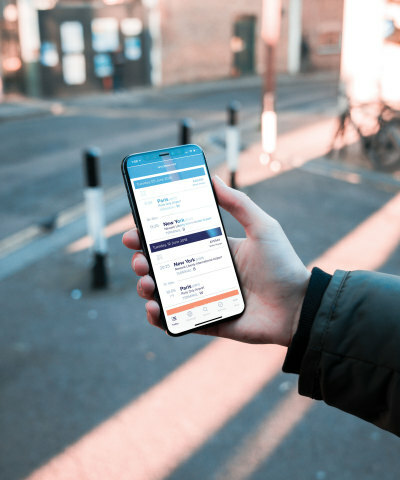 Rydoo travel skips the payment phase for employees (no more queuing at the lobby) thanks to central billing - finance teams receive a single invoice gathering all business travel-related information, at the end of the month. Rydoo expense allows employees to enjoy the snap-and-process feature that offers automated, paperless expense management while complying with company’s policy. Finance teams easily manage employees’ reimbursements in real-time and control the company’s expense budget. Using both modules guarantee full value from this new way of working, but companies can also start with one module, depending on their needs. Sodexo Mobility & Expense, President, Didier Dumont, adds: “Keeping people efficiently on the move is essential for business success. Rydoo brings the Travel and Expense ecosystem together to gain time and real-time visibility for hassle-free performance. To deliver this to the market in an agile way, we define ourselves as a corp-up that combines the strength of a corporate company and the agility and innovative mindset of a start-up”. Download the app and give it a go ! 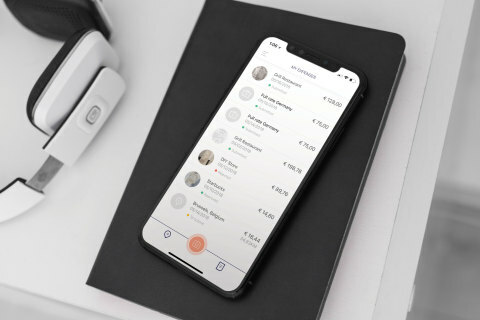 Rydoo reinvents and simplifies business travel and expense management thanks of the expertise its two founding startups it is originated: Xpenditure and iAlbatros. With its 300 enthusiastic employees, Rydoo operates in more than 60 countries; its 6,000 customers (public and private organizations) benefit from the usability and efficiency of its consumer-oriented app. Rydoo is a Sodexo corp-up, the alliance of two startups and a large corporation. Founded in 1966 by Pierre Bellon in Marseilles, France, Sodexo is the worldwide leader in Quality of Life services, an essential factor in the performance of individuals and organizations. Present in 80 countries, Sodexo delivers to 100 million customers a day a unique array of On-Site Services, Benefits and Rewards Services, and Personal and Home Services. With 50 years' experience covering more than 100 professions, Sodexo offers its clients a comprehensive range of services including hospitality, reception, cleaning, maintenance, technical equipment and facilities maintenance, staff motivation and incentivization, solutions to streamline and optimize personnel relocation and business expenses, as well as home help, daycare, and concierge services. Sodexo's success and performance relies on its independence, its sustainable economic model, and its ability to ensure the development and commitment of its 450,000 employees around the world. Sodexo is represented on the CAC 40 and DJSI indices. Sodexo launches Rydoo, the game-changing business travel and expense mobile app that eliminates complicated admin.